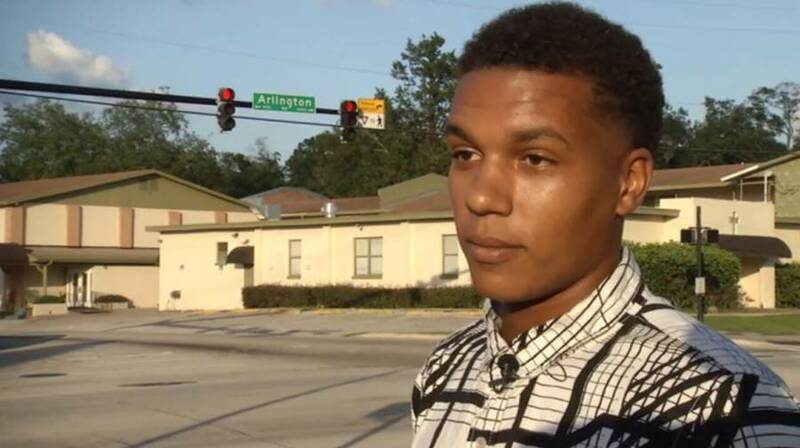 A Jacksonville officer detained, fined, and threatened Devonte Shipman for crossing the street illegally without an ID. Most people don’t think twice about jaywalking. In New York, you do it ten times a day. 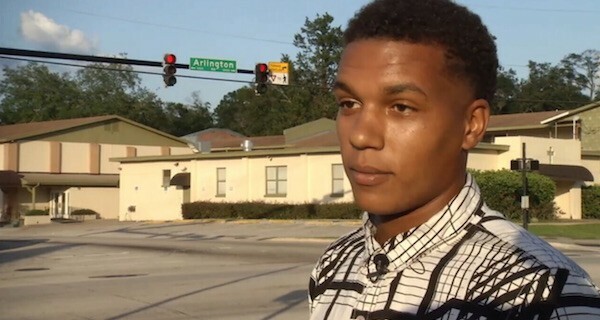 But last Tuesday, 21-year-old local Devonte Shipman and a friend were stopped and then detained by Sheriff’s Officer J.S. Bolen in Jacksonville, Florida for that very offense, the Miami Herald reports. In a video that Shipman took of the encounter, he asks Bolen what he and his friend did wrong. The clearly agitated officer tells Shipman and his friend that they had illegally crossed the street outside of the crosswalk. “That’s a $65 ticket,” Bolen tells them. “My bad,” Shipman responds without a hint of aggression. Bolen then orders Shipman to the squad car, telling him and his friend that they’re being legally detained. “For crossing the street, officer?” the friend asks, requesting a warning instead of a ticket. But Bolen persists, continuing to threaten jail time for resisting an officer without violence, so they begin the walk to the car. Bolen then asks for their identification, which Shipman says he doesn’t have. But that’s not true. Florida law requires that all drivers carry a license. Pedestrians don’t need to have ID on them. Nevertheless, that ID “violation” resulted in a $136 fine for Shipman, with the additional $62.50 fine for failing to obey a pedestrian control sign. 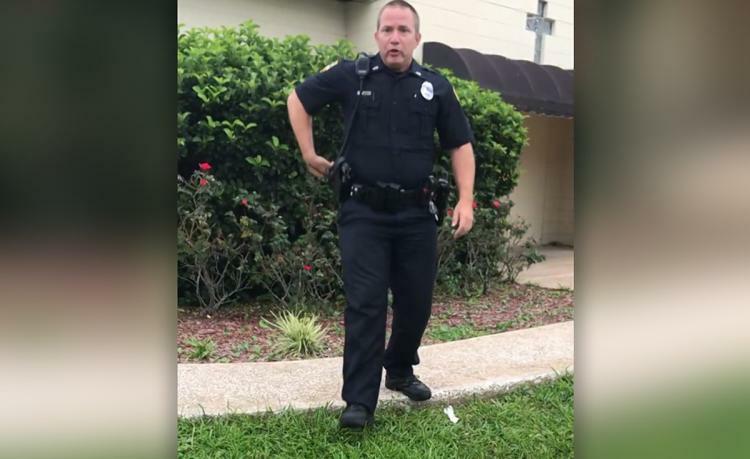 In the video of the incident, Shipman points out that the cop is overreacting. “You’re acting like I really just did a serious crime that’s worth this time right now,” Shipman says. At the end of the video, there are three cop cars on the scene. Shipman plans to take his case to court. The Jacksonsville Sheriff’s Office says that Bolen is not under investigation at the time. Next, learn about the Black Lives Matter activists who protested gay pride celebrations across the country. Then, read about the former cop who’s suing the city after being fired for not shooting a suicidal black man.